The NFL on CBS has a doubleheader for this week nine Sunday. In the early window, most of the country will see Broncos-Bengals with others seeing Bills-Texans, Ravens-Browns or Dolphins-Colts. 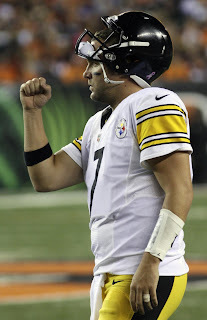 In the late window, everybody (save for folks in the Seattle and Oakland markets) will get Ben Rosethlisberger and the Pittsburgh Steelers taking on the New York Giants. Continue reading for announcing assignments and distribution splits.